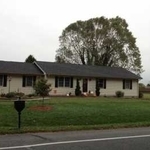 Military Listings - 340 Old Airport Rd. 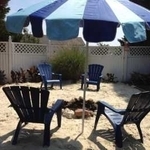 Spend your evenings in this private oasis relaxing in the hottub or roasting marshmallows in the beach like fire pit in this peaceful neighborhood. The beautiful kitchen features a large island, solid surface countertops, stainless appliances with the added convenience of pullouts in the lower cabinets and built in spice drawer. 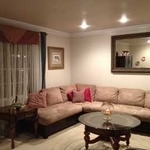 This home has spacious rooms with plenty of storage and two full baths. Spend your mornings reading the paper and enjoying your coffee on the inviting deck located off the master suite. New roof, fresh painted and new carpet make this home move in ready.